ColaLife’s Blog is 10 years old! You are here: Home / ColaLife Scale-up / ColaLife’s Blog is 10 years old! 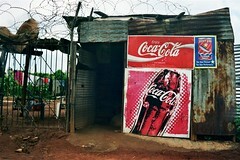 We got Coca-Cola’s attention [link] and they taught us a lot [link]. We worked with caregivers to design a diarrhoea kit – Kit Yamoyo – that fitted between Coca-Cola crates [link] (and won the design Museum’s ‘Product Design of the Year’ [link] and the DuPont Diamond Packaging Award [link]). We ran a large successful trial of the idea of piggy-backing on Coca-Cola’s distribution system in Zambia and we got treatment rates in the trial areas up from less than 1% to 45% in a year [link]. We were onto something! We overcame significant challenges. [link] – this is just one example! We won the GSK / Save the Children Healthcare Innovation Award which we planned to use to help us share learning and to bring in some significant donors for scale-projects in Zambia. [link]. We struggled to find these donors, but finally got two projects started in 2015: KYTS-ACE and KYTS-LUSAKA. Those two scale-up projects have now just finished, with Kit Yamoyo being produced locally for the local market. 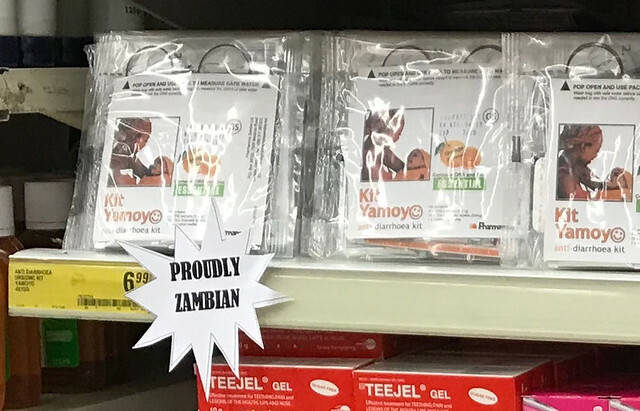 Kit Yamoyo is in supermarkets nationwide [link] and around 2,000 small shopkeepers have been trained to sell it. A public sector version is available and 450,000 of these have gone through the government system and have been given free at government clinics. [link]. Our work is featuring strongly in global policy. [link]. All this has given us a platform to enable us to work at global level to get co-packaged ORS and Zinc on the WHO Essential Medicines List for Children (EMLc). [link]. Thanks to everyone who has supported us. Since we started 586,000 kits have left the Pharmanova factory in Lusaka. I’ve been asked about the impact over the last 10 years in terms of lives saved (see comment from RJ below). The case fatality rate for diarrhoea is about 0.42/1,000 cases of diarrhoea and given that children with diarrhoea who are treated with Kit Yamoyo are likely to have survived that would equate to 586,000 x 0.42 / 1,000 = 256 lives saved. However, we have done more than simply supply the treatment, we have educated caregivers, shopkeepers and health workers on how to prevent diarrhoea and how to treat it properly. An analysis was done in 2013 using our trial findings using the “Lives Saved Tool” (LiST) and that estimated that 3 lives were saved for every 1,000 kits used. If you use this value, we will have saved 586,000 x 3 / 1000 = 1,758 lives saved. The reality is probably somewhere in between. When I see the ex-factory sales reports, I see one life saved for every 1,000 ex-factory sales and that what motivates me. Around 40% of children in sub-Saharan Africa are stunted at the age of two. These children will suffer permanent physical and mental damage as a result. Around 13% of these cases will be caused primarily by chronic diarrhoea. 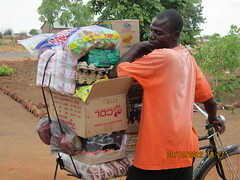 While ORS will keep a child hydrated and stop it dying, many children will not be strong enough to fight the diarrhoea. This is where Zinc is important. Zinc is an essential nutrient. It strengthens the immune system and improved skin and gut health and many children in poor communities are Zinc deficient. 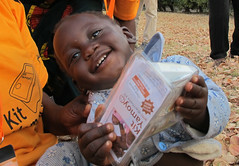 Zinc will normally stop chronic diarrhoea and so reduce stunting in the population. Our full blog archive is here. 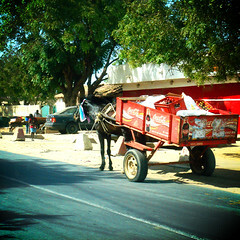 Here’s that first blog post from 6-May-08 (I’ve learnt to hyphenate Coca-Cola since then). An idea: on a day like this I believe you are justified in also reminding us all of the impact that you have achieved regarding lives of children saved. How about adding subtle reminder to the “10th anniversary blog”?